I can’t wait for the summer because I think this breakfast banana split would be amazing with fresh peaches on it. 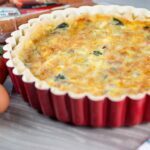 You can add whatever fruit or berries you love. 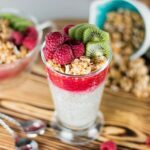 You can even try adding flavoured yogurt or cottage cheese instead of plain yogurt. Yum! 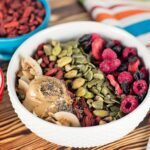 Quaker® Real Medleys SuperGrains Granola is a delicious blend of seven super grains, seeds, fruits & nuts which provides fiber, ALA omega-3 and whole grains. 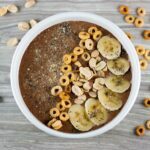 This scrumptious granola from Quaker® is loaded of all-natural ingredients, including whole-grain rolled oats, wheat, brown sugar, flaxseed, dried fruits and honey. It is so tasty that I find myself just walking over to the cupboard and pouring a handful to eat with I get the munchies. I was at Walmart doing some grocery shopping and grabbed this new granola. 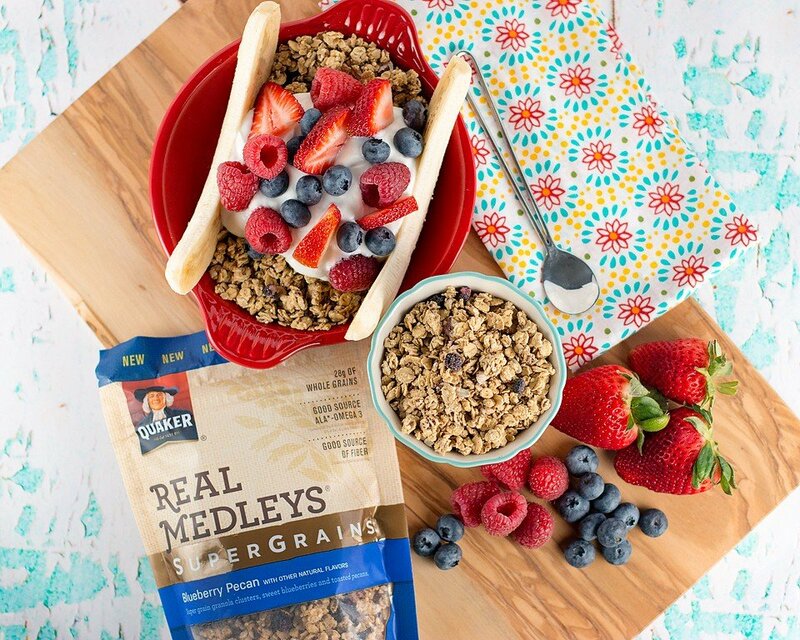 You can find Quaker® Real Medleys SuperGrains Granola in the cereal aisle. They have several flavours such as Quaker® Real Medleys SuperGrains Blueberry Pecan and Quaker® Real Medleys SuperGrains Cinnamon Apple Walnut. 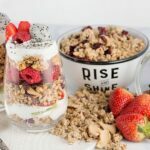 This granola is the perfect choice for creating a yummy and fun breakfast banana split with my favourite Greek yogurt and fresh berries. Slice a banana down the middle and place in a bowl or sundae boat. Spread two pieces apart to make room for the rest of the ingredients. 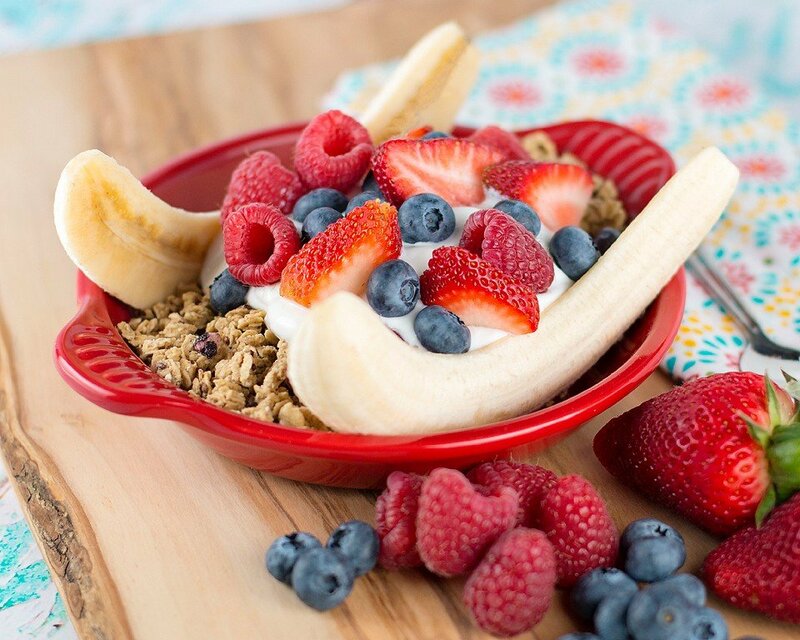 Place granola between the banana pieces and then top the granola with the yogurt. 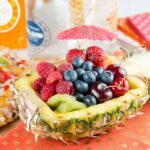 Top with your favourite fresh fruit and enjoy!